Think you know about fairies? Consider yourself an expert on monsters? Or maybe you think you’ve read all there is to read about mermaids? Well, think again! 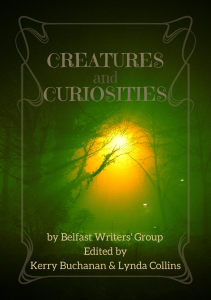 Belfast Writer’s Group is back with sixteen new stories, including Silver Threads of Coralline by Jo Zebedee, which was an Ellen Datlow recommended read for 2015. Be prepared for curious tales of creatures from myth and legend you [think you] know and love, plus a few new ones.